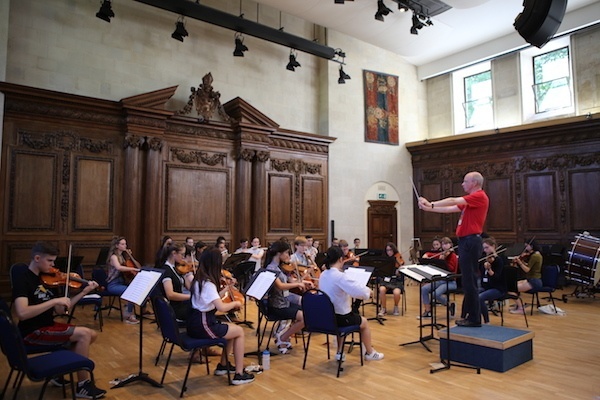 The Orchestra began with rehearsing some Brahms' Hungarian Dances and Beethoven’s Coriolan Overture. 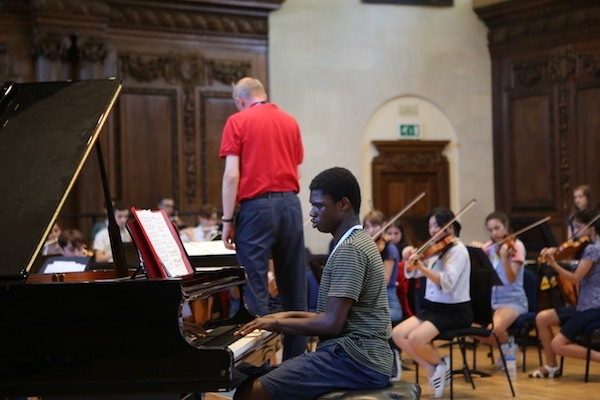 In the afternoon they welcomed Christian Fadeyi, one of the students on our Piano course who will be playing Beethoven’s Choral Fantasia with our Orchestra and Choir. 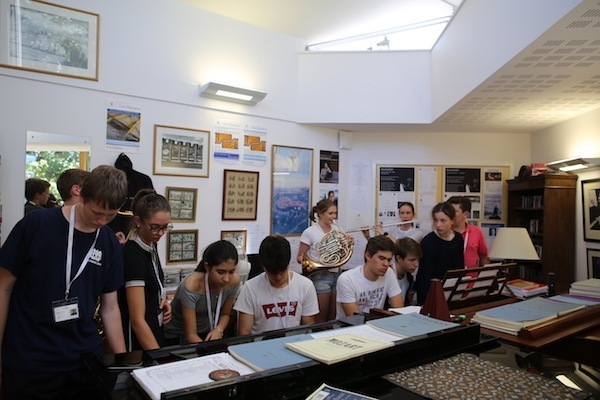 Our pianists old and new settled into their individual practice rooms and had lessons with our piano staff whilst the choir started their morning rehearsing some Britain, Michael Jackson and Purcell with Tom Appleton. 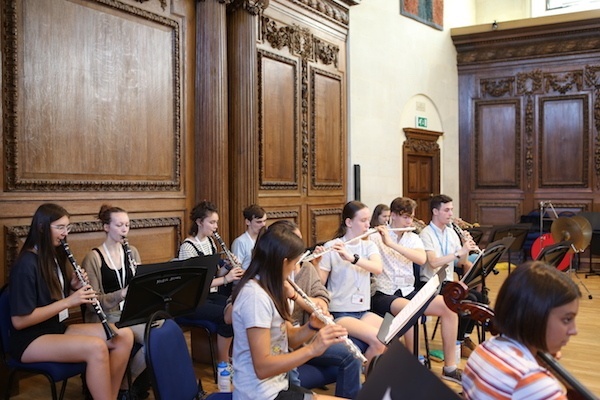 The Saxophones went straight into music making, working on some Bach, Tchaikovsky and Gershwin quintets. 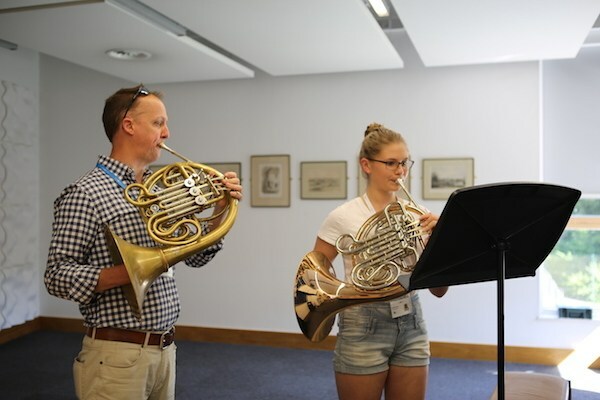 Some students had a chance to play new instruments they haven’t played before like the soprano and baritone saxophone. 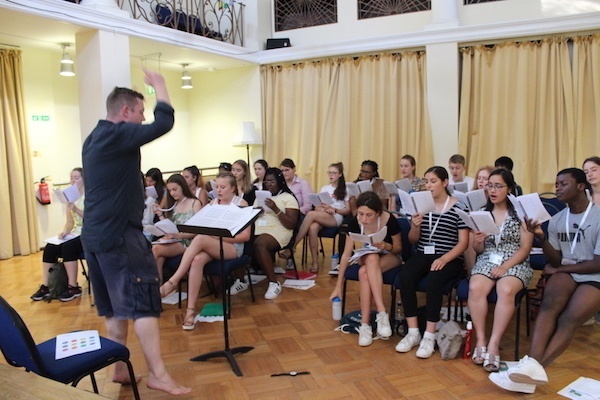 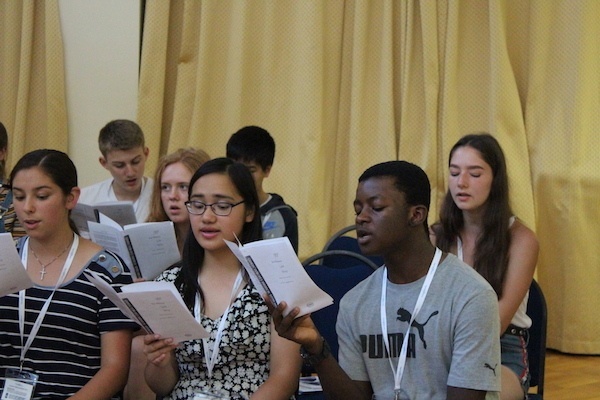 In the afternoon they were involved in a session with the choir for their performance of Eric Whitacre’s Sleep. 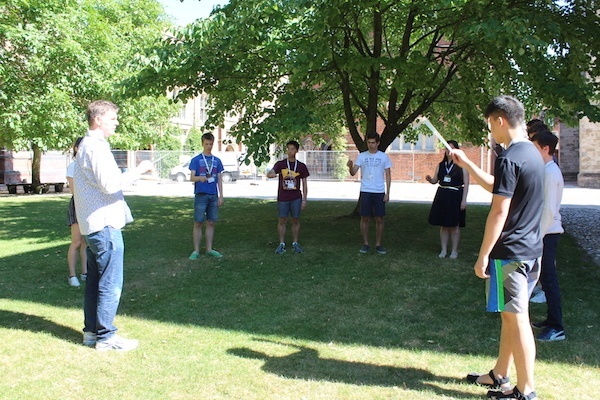 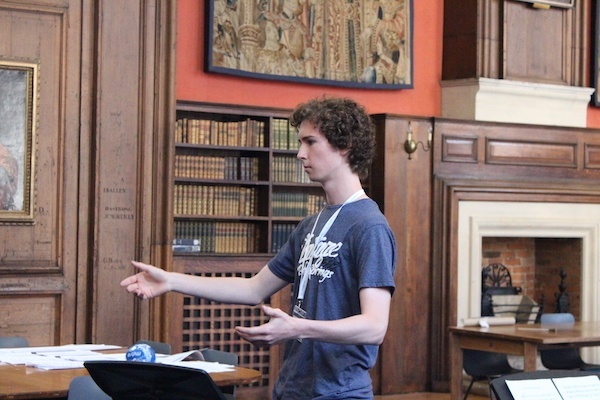 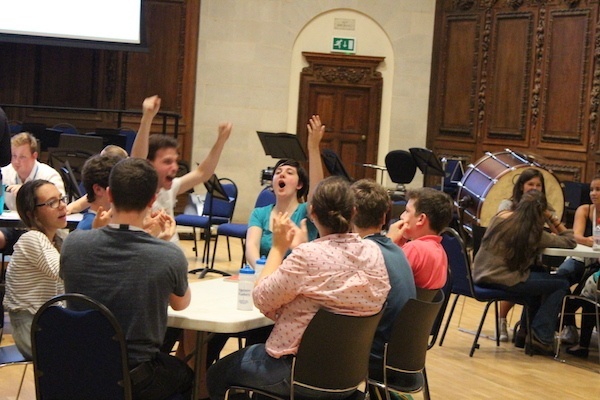 Our young conductors started by introducing themselves and getting to know each other better, followed by a lesson on transposition and learning more about the transposing instruments of the orchestra. 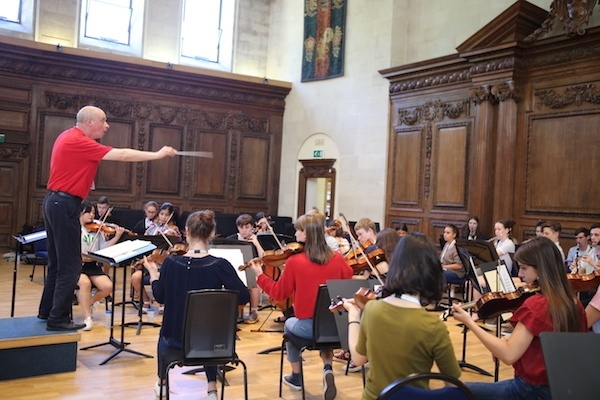 In the afternoon they all had a go at conducting the opening of Beethoven’s Coriolan Overture using stands and chairs to get a feel for the weight of the arm movements. 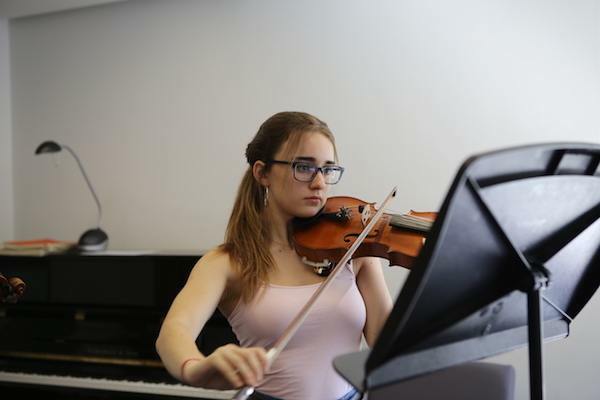 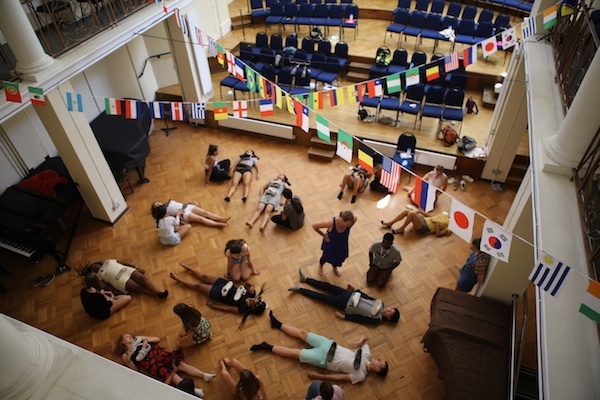 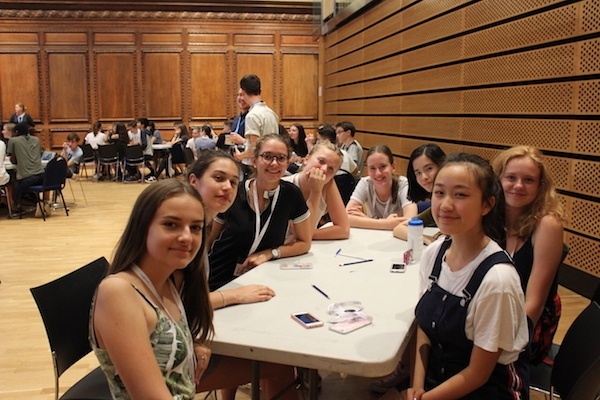 For Musicianship we split the students into groups, focusing on different topics such as a Vocal Health workshop with Amanda Smallbone, or a workshop on minimalist music which resulted in a giant performance of a group piece “In E” - 15 musicians gathered around 2 pianos. 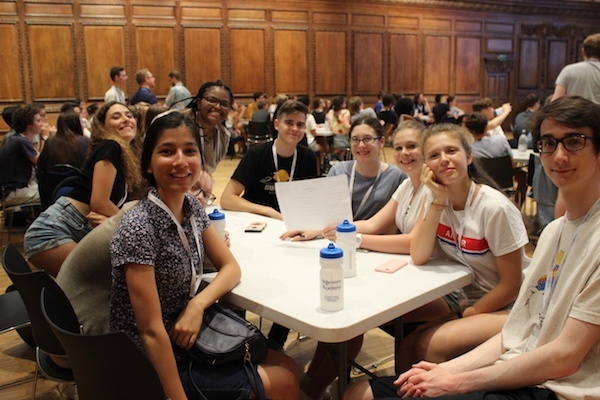 In the evening we relaxed with a Quiz that involved lots of fun categories such as guessing the Disney character, History of Winchester and our favourite: Guess the Pastoral Staff Member (from their baby photo). 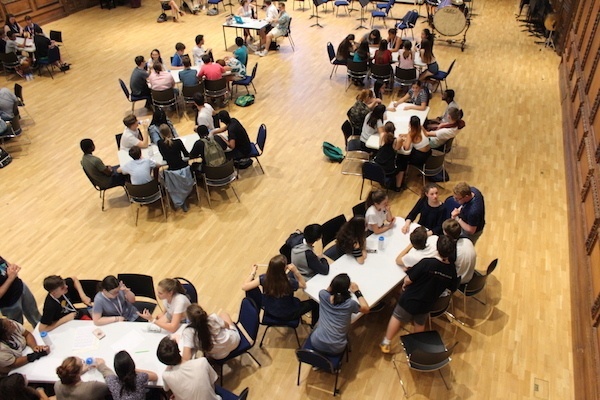 We’ve had a brilliant start of the week and we are very excited for the next few days. 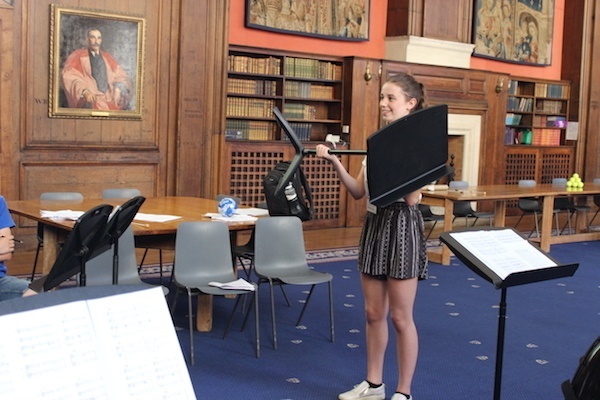 India: for great sightreading skills, sitting on the front of her chair with great posture all day, helping her section and being smiley!